Please choose an amount for your gift certificate from the drop-down menu. The cost of a 10-week session is $190 for the first child and $95 for each additional sibling. Infants from birth through 8-months of age are free with a registered sibling. The recipient will receive a coupon code to be applied at check out when they register for a class online. Please let us know if you would like the Gift Certificate emailed to yourself or to the recipient. 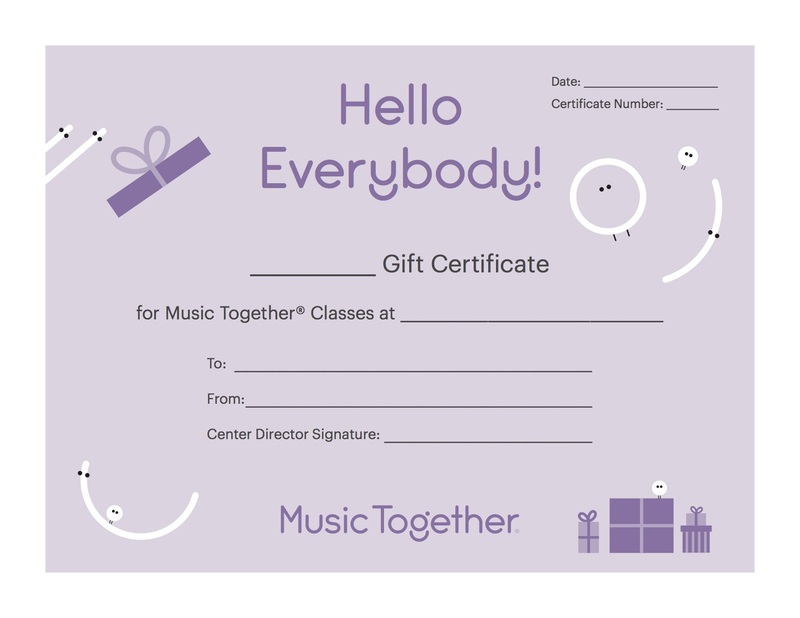 NOTE: The coupon code will only be applicable to classes taught by Blue Ridge Music Together. 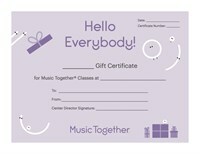 The coupon code is not valid for other Music Together® facilities.